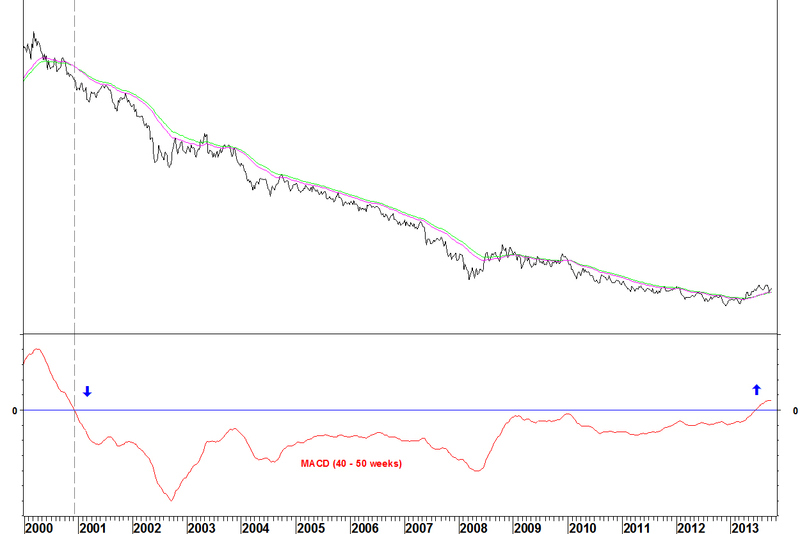 British American Tobacco (BATS) has been a long term outperformer but that looks about to change. 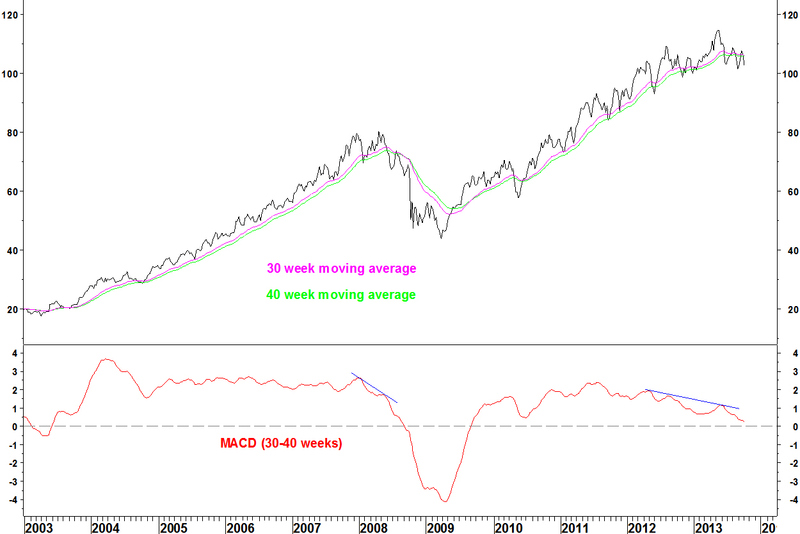 Firstly, on price, BATS hasn’t had a moving average crossover on its 30 and 40 week combination since September 2009 and had MACD divergence at its high (as in 2008). 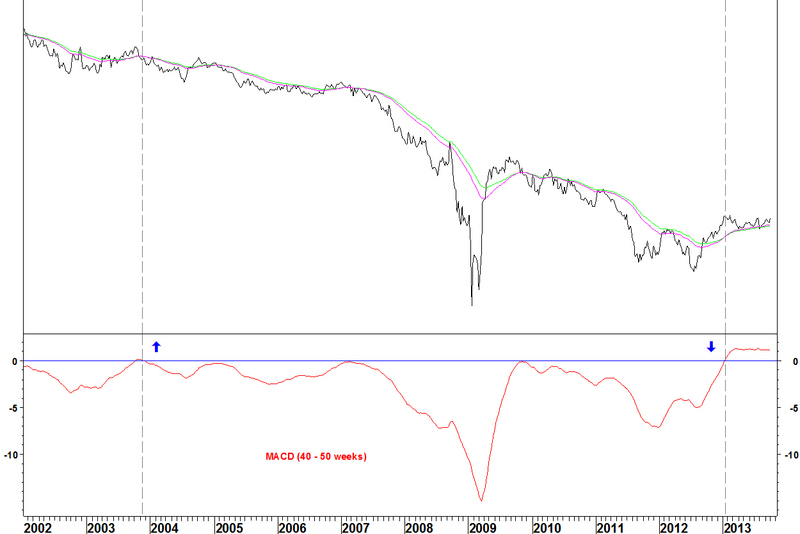 This meets my criteria of looking for series for which the moving averages have not crossed for at least four years. A price crossover looks imminent. 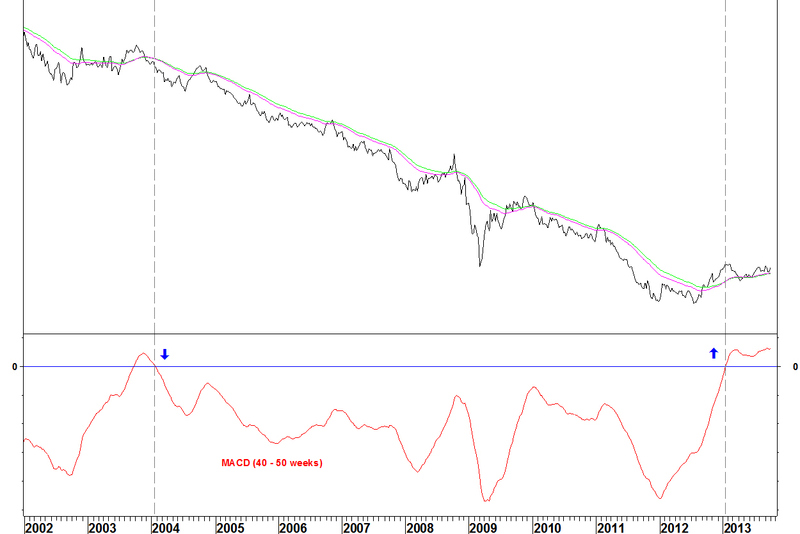 Relative to some UK large cap stocks, crossovers have occurred and after an even longer wait. There is no hard and fast rule about which moving averages to use. The point is, something has changed for BATS. BATS is now set up for a period of underperformance against some other large cap UK stocks, having outperformed for a long time. Moving averages can take a long time to take effect though and we should use other methods like Bollinger Band breakouts to determine the timing of this long term rotation.